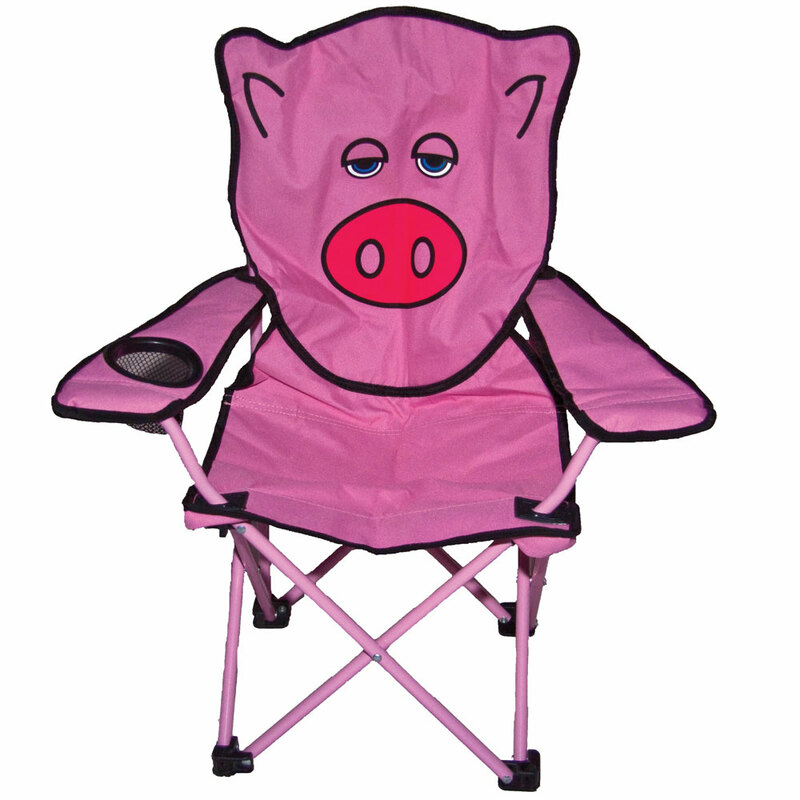 Designed after a pig, this fun chair features vivid colours, integrated cup holder and an in built safety lock. The chair simply folds away into its own colour coded carry bag when not in use. - Built in Safety Lock. - Folds Away for Easy Storage.